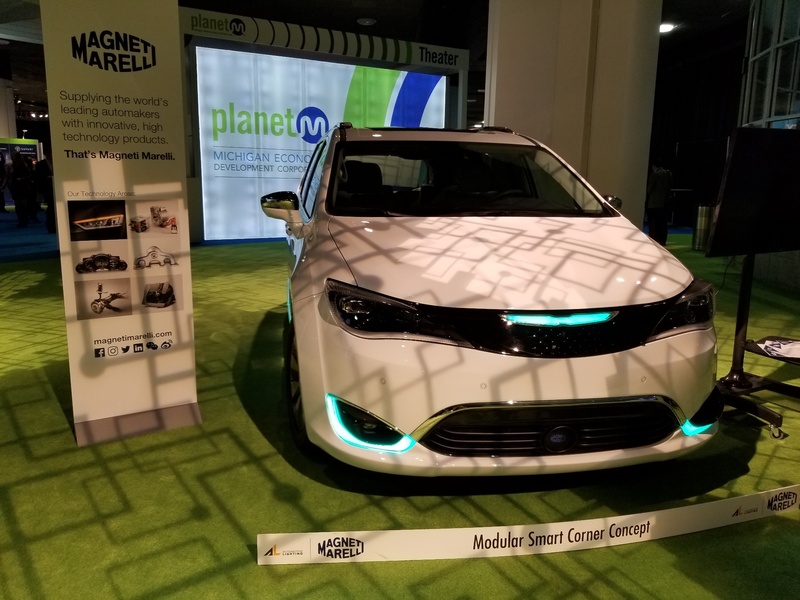 Building on the company’s electronics, lighting and autonomous innovations on display at CES 2018, Magneti Marelli showcases its Smart Corner™ and sensor fusion technology at the North American International Auto Show in Detroit, Michigan. Attendees can visit Magneti Marelli’s booth EM01 in the AutoMobili-D area, dedicated to companies focused on providing mobility solutions. Building on its recent investment in solid-state LiDAR company LeddarTech, Magneti Marelli has integrated a camera, radar and LiDAR into advanced projector headlamps and tail lamps to produce the fully functional Smart Corner, which is on display in a production vehicle. The Smart Corner solution provides OEMs with the required functionality for autonomous driving, while maintaining beautiful aesthetics and world-class lighting performance. The solution reduces weight, cost, and eliminates the need for separate packaging, wiring and connectors on the vehicle exterior. Magneti Marelli offers “ride and drives” in a production vehicle, exposing passengers to sensor fusion technology in action. Sensor fusion is the process of gathering data/input from multiple sensors and “fusing” it together, to generate a more accurate and comprehensive description of the surrounding environment than could be calculated or determined by individual sensors. This live demo shows the company’s ability to fuse radar and LiDAR data (both raw and tracked) to detect and track surrounding vehicles in a highway scenario. Attendees are invited to network with Magneti Marelli product specialists at a reception being held on Industry Preview Days, Jan. 17-18, from 3:00-5:00 pm, in booth EM01.